Happy World Oceans Day - "OUR OCEANS, OUR FUTURE"
The original proposal for the World Oceans Day started in 1992. It was officially recognized by the United Nations in late 2008 and since 2003 The Ocean Project is coordinating it. Bill Mott, Executive Director of The Ocean Project, stated that the “World Oceans Day provides a unique opportunity to raise the profile of the ocean and rally the world. Together, with hundreds of organizations and millions of people, we are making a real difference for our world’s ocean by collectively raising awareness and promoting action in fun and positive ways. This year’s World Ocean Theme is “OUR OCEANS, OUR FUTURE” and focuses on the prevention of plastic ocean pollution. 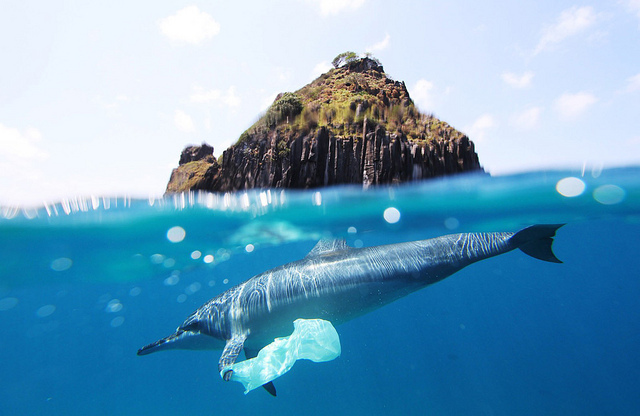 The conservation action focuses on encouraging solutions to plastic pollution and preventing marine litter for a healthier ocean and a better future. Under the framework of the World Ocean Day individuals and organizations across the planet are taking action for prevention of plastic pollution in our ocean. Up today, almost 600 different events and actions have been listed in over 100 countries around the world. Check them out! For sure there will be one in your area! Or you can Take Action by telling what you’re doing to keep plastic trash out of our ocean and away from ocean animals. This year, the newly-formed World Oceans Day Youth Advisory Council plays a major role. Together, with the Advisory Council, the Youth Advisory Council will also expand opportunities for ocean conservation throughout the year. It has been instrumental in helping to shape the development of World Oceans Day 2017. Additionally, they have focused on engaging youth across the globe and works in partnership with UN Environment’s Clean Seas Campaign, which was launched in February this year. Plastic pollution of our oceans cost an estimated $8 billion in damage to marine ecosystems, as approximately 80 percent of all litter in our oceans is made of plastic. Recently, scientist found that our laundry is one of the pathways of microplastic into the marine environment. The effects of plastic are vast on wildlife, fisheries, and tourism. The World Ocean Day campaign “Our Ocean, Our Future: seeks to end the excessive, wasteful usage of single-use plastic and eliminate microplastics in cosmetics, both major sources of marine litter, by the year 2022. Together with the Clean Seas Campaign the World Oceans Day Youth Advisory Council has developed a simple way for the public to take action and express their concern about plastic waste in our oceans. People can make a commitment towards reducing their use of disposable plastics, raise awareness and encourage others via the website www.keepoceans.blue. If you participate use the hashtags #WorldOceansDay and #CleanSea to be a part of the “Our Ocean, Our Future” community. Head of UN Environment, Erik Solheim said: “So far over 20 countries have committed to reducing their plastic waste, but we need many more on board if we are to drastically reduce the 8 million tons of plastic already leaching into our oceans every year, causing havoc and endangering marine life. United Nations statement on why do we celebrate World Oceans Day? Reminder for everyone about the major role the oceans have in everyday life. Oceans are the lungs of our planet, as they provide most of the oxygen we breathe. Informing the public of the impact of human actions on the ocean. Develop a worldwide movement of citizens for the ocean. Mobilize and unite the world’s population on a project for the sustainable management of the world’s oceans. They are a major source of food and medicines and a critical part of the biosphere. Celebrate together the beauty, the wealth and the promise of the ocean. STORY SOURCE: The above post is written based on materials published by WoldOceanDay and ClimateActionProgramme. Note: Materials may be edited for content and length.